"The Master of Applied Politics program allows you to tailor your degree to your specific interests and career goals. In my case, it gave me the skills and knowledge needed for work in public policy. The courses were interactive and the material engaged with current policy debates. I also greatly benefitted from the regular interaction we had with practitioners in the field. "I was accepted into the Major Research Project stream, which allowed me to sharpen the skills I had acquired by conducting a Policy Analysis Project (one of the options for the MRP). My project demonstrated to employers that I know how to use and apply the skills I learned in the program to real policy issues. "Immediately upon completing the MAP, I was offered a position with the Federal Economic Development Agency for Southern Ontario. I am now (2018) with the Auditor General of Canada training to become a Performance Audit Professional. I am learning to audit federal government programs to determine whether they are being managed with due regard for economy, efficiency and effectiveness. The work that I will be doing with the Auditor General is especially interesting as it will build upon the research and methods I used in my policy analysis project." "The MAP program helped me develop the type of research skills, writing skills, and discipline that a law degree requires. "A law degree, at its most basic level, requires not only understanding theoretical concepts but applying them to novel situations in a methodical, reasoned, and well-outlined manner. The MAP program was immensely helpful in developing these skills which I felt gave me an advantage in law school." 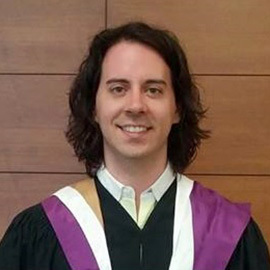 "The Master of Applied Politics program at Laurier gave me the opportunity to develop a practical skillset in public opinion research. I pursued the Public Opinion Project (one of the options for the Major Research Project in the program), working with a client to design and implement a survey instrument, obtain data results and generate in-depth analytical conclusions in a final report. Taking courses in statistics, public policy, and public opinion research provided me with the necessary tools to produce a polished and high-quality report that I was able to bring to potential employers. "Due to the practicality and hands-on experience gained in the program, I was able to land a job immediately after completing my Public Opinion Project. 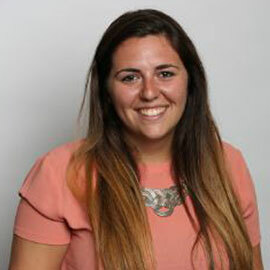 I now have a full-time job as a Research Analyst in the Public Affairs Department at IPSOS." "The Master of Applied Politics (MAP) program provided me with solid foundations in aspects which are central to conducting proper academic research such as methodology, theory, and critical analysis. I chose to pursue the coursework option which allowed me to broaden my knowledge base with courses within and outside department, thus helping me prepare adequately to pursue further graduate studies at the doctoral level. "Having studied in "big" universities for my undergraduate and PhD program, I experienced first-hand the benefit of studying in a smaller MA program such as the one at Wilfrid Laurier University. By being able to easily connect with faculty members, it enabled me to have conversations on a multitude of topics including academic, personal, and professional goals. It was truly rewarding to learn and exchange frequently with renowned scholars in their respective fields. Moreover, the various events and workshops organized by the department provided me with the opportunity to weave a strong web of relationships with scholars and other professionals from various fields. 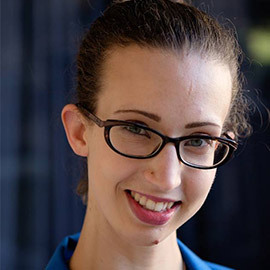 "Overall, the MAP program at Wilfrid Laurier University is an excellent choice for people who either intend to pursue doctoral studies, or prepare themselves for a professional career." 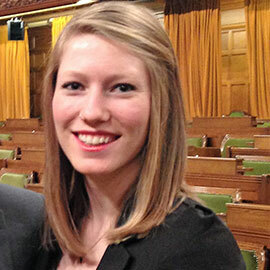 "I chose Laurier for my master’s for the opportunity to specialize in Elections and Public Opinion, and for the chance to experience life far from my home on the West Coast. Laurier's small class sizes and focus on student-led learning provided many opportunities for leadership, and challenged me to go beyond my readings to learn more about the topics I would lead a discussion on. "For my MRP, I was able to combine my interests in Canadian and Electoral Politics, and put my newly-acquired statistical analysis skills to work, in an analysis of voting patterns during the 2011 Canadian Federal Election. "After graduation, I moved back to BC, and after a six-month internship at the BC Legislature, I was hired by the BC Public Service as a Negotiations Analyst, working on negotiating modern Treaties with First Nations in British Columbia. 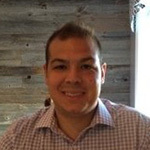 My job affords the opportunity to put my analytical skills to work, and practice leading seminars at Laurier has helped me with leading discussions at the Treaty table."